Six years ago I tried using a Mac exclusively for 30 days. The OS was 10.3, the hardware was a PowerMac G5 and Apple was still the quirky company with a 2% market share. 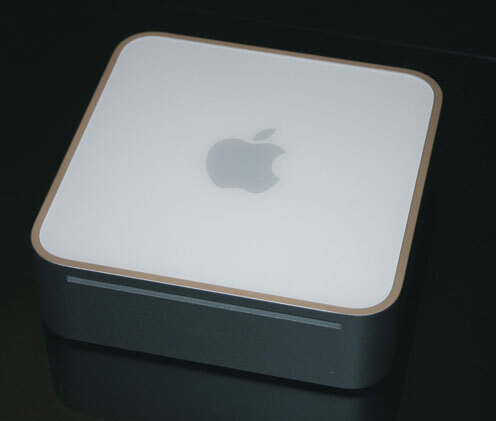 Five years ago I reviewed my third Mac, the very first Mac mini. In this pre-hackintosh world, Apple was enough of a curiosity that a $499 Mac made a lot of sense. It wasn’t fast, but with a 1.25GHz PowerPC G4 it was quick enough for most of what you needed to do with a Mac back then. Like many Macs, all it really needed was a memory upgrade. Interest in Apple has obviously gone up since then. Apple’s resurgence coincided with the shift from desktop to notebook computers and thus the preferred entry platform for many into the Mac world were the PowerBook G4, MacBook and MacBook Pro. The mini continued to receive updates, but its role in Apple’s lineup shifted. The need for an introductory Mac so that users might test drive OS X declined. The mini became a plain old desktop Mac for those who didn’t want an integrated display. For others it was a nice looking HTPC; an Apple nettop before the term existed. 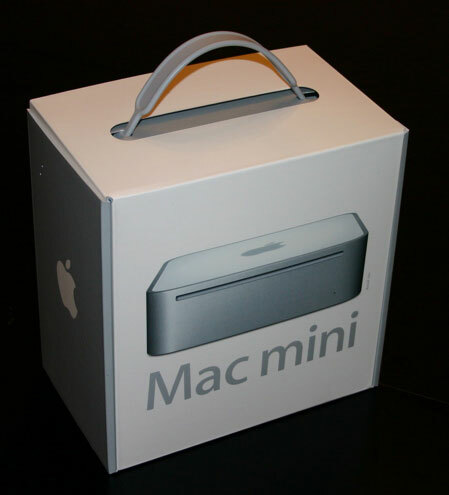 The Mac mini arrived with a bang but was quickly relegated to an almost niche product. It wasn’t Apple TV-bad, but definitely not in Apple’s top 3. The fact that Apple didn’t overhaul the chassis in nearly five years exemplifies the mini’s importance to Apple. Nearly all other consumer targeted Apple hardware gets visual updates more regularly than the Mac mini. All signs pointed to the mini going the way of the dodo. A couple years ago we regularly saw rumors of Apple killing off the mini entirely. The need for an ultra cheap introduction to OS X had passed. Apple’s customers either wanted a notebook or an iPhone, and if they wanted a netbook Apple eventually addressed that market with the iPad. While the role of the Mac mini has changed over the years, so has hardware. Originally the mini was 2” tall and measure 6.5” on each side. Small for its time, but bulky compared to what companies like Zotac have been able to do with off the shelf components since then. In 2005 very few companies were concerned about power consumption, today it’s even more important than overall performance. Intel alone has an internal policy that doesn’t allow the introduction of any new feature into a design that doesn’t increase performance by at least 2% for every 1% increase in power consumption. 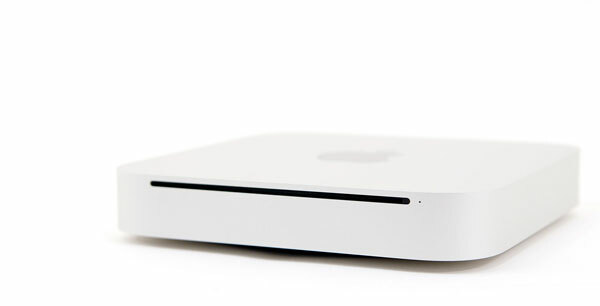 The 2010 Mac mini looks more like an Apple TV than a Mac. At 1.4” high the new mini doesn’t sound much thinner than the old one until you realize that most of the visible thickness (excluding the pedestal stand) is even smaller than that. The Apple TV comparison continues when you look at the ports along the back. Apple’s recent infatuation with mini DisplayPort continues, but there’s also an HDMI port on the back of the new mini. Apple thankfully provides a single-link DVI to HDMI adapter in the box for those of you who aren’t hooking the Mac mini up to a HDTV. The HDMI output supports a max resolution of 1920 x 1200 while the miniDP can drive a 2560 x 1600 display with an active miniDP to DVI adapter. But it’s clear that the HDTV pair is something Apple thought of. The mini is no longer a way to get a taste of OS X, it’s a full fledged HTPC or Apple’s take on the ION nettop. Internally the Mac mini is pretty much a 13-inch MacBook Pro. You get a 45nm 2.40GHz Core 2 Duo with a 3MB L2 cache (technically it’s the Core 2 Duo P8600). The chipset is NVIDIA’s GeForce 320M, identical to what’s used in the 13-inch MacBook Pro. There’s no dedicated frame buffer. The GPU carves 256MB of main memory out for its own use, which is a problem because the base configuration only ships with 2GB of memory. The hardware may sound dated since it isn’t using Intel’s Core i3/i5 processors, but we’re limited by space. Apple is unwilling to ship any of its Macs with just Intel integrated graphics. Apple wants a huge installed base of Macs with OpenCL capable GPUs for some reason. And since NVIDIA isn’t allowed to build chipsets for the Core i-whatever processors, Apple would have to go to a three chip solution in order to have a Core i-whatever, Intel’s associated chipset and an AMD/NVIDIA GPU. In size constrained products (e.g. 13-inch MacBook Pro or the new Mac mini), Apple prefers to use a Core 2 generation CPU and a single chip NVIDIA IGP to fit the form factor and GPU requirements. Either way, he does have a point and the more people that defend Apple, the more they get away with things. Just look at End'Gadget.. many posts asked them to modify their review of the iPhone 4 but did they? Nope. You must be confusing this with a Dell. "overheating, melting of refurbished hard drives, security issues bla"
You're obviously desperate for attention. Why waste your time posting this instead of a legitimate point? When it comes to the Mini, there's one glaring legitimate gripe: THE PRICE. It's a cool product, but grossly overpriced. It's mystifying why Apple bothers with it at this point. If they're overpricing it to avoid cannabilizing other sales, then why continue to make it?